If you are looking for Reverse Mortgage Information, there are no foolish questions. Some of us live in urban cities while many are in smaller quaint towns. Others choose the lush mountains and some choose the desert serenity. Many folks choose “Red” one day and “Green” the next! It isn’t a foolish question, but outside our borders, people don’t understand the question, “Would you like Red or Green?” Even though we live in a wonderfully diverse state, every single one of us understands what is being asked. We feel that it’s in your best interest to work with local specialists who are familiar with the lingo and real estate rules of New Mexico. “Red or Green?” At least the professionals at New Mexico Reverse Mortgage understand the question! We’re local people and share community values. While there are many different reasons for you to be looking for Reverse Mortgage Information, many of the questions asked are the same. Reading the FAQ’s and the Reverse Mortgage Information it contains, is a great start. And, if you’d like Reverse Mortgage Information for questions unanswered, just give us a call. The Reverse Mortgage Information that we share is for you, our neighbors. HECM = Home Equity Conversion Mortgage. It is pronounced, “heck-um”. Reverse mortgages are designed for homeowners at least 62 years of age. They typically have moderate to significant equity in their homes who want to eliminate debts or receive additional cash. They can also be used to purchase a new home! A Financial Assessment will be done to ensure that the borrower meets FHA’s income and credit requirements. There are a few reverse mortgage options to choose from, so we’ll help you find the right one for you. Give us a call for information and to learn more. Do my spouse and I both need to be 62 or older? Have occupied, and continue to occupy, the property securing the HECM as the Principal Residence of the Non-Borrowing Spouse. None at all! You may use the money you receive any way you would like. Of course, existing mortgages and certain other federal debts (i.e. IRS tax liens) must be paid off with the proceeds first. However, after that there are no limitations on you as to how you use the proceeds. You can save the money for a rainy day or spend a portion on credit card debts, home improvement, estate planning, medical purposes or even a vacation. Basically, anything and there are no restrictions, but we do encourage financial prudence and discipline. You bet! This scenario is quite typical and occurs on about 50% of our transactions. Any existing mortgages will be paid off at closing. Then you’re free to enjoy the financial freedom that comes along with eliminating your mortgage payment. But remember! You are still responsible for maintaining the property, paying property taxes and homeowner’s insurance. A Life Expectancy Set Aside (LESA) may or many not be created to help you with the property taxes and homeowner’s insurance. Contact us for more information. Are taxes due on the reverse mortgage proceeds? No. Typically, the IRS does not tax money received from a reverse mortgage loan. You are simply pulling money out of a property that you’ve already been taxed on. We recommend you speak with a tax advisor for specific questions and information. Is is okay that our home is in a “Living Trust”? Yes, a homeowner who has put their home in a “Revocable Living Trust” can usually take out a reverse mortgage. The information in the Trust documents will be reviewed by the underwriter and title company to be sure it is written properly. At time of closing, your signature will be a bit longer than usual. As an example, if I were the trustee, I would have to sign all the documents as “P. Mace Kochenderfer, Trustee of the P. Mace Kochenderfer and Kara M. Kochenderfer Revocable Living Trust”. Be prepared to have sore hands at the end of that closing! Warning: As a shortcut, some Loan Officers will advise you to temporarily take the home out of the trust and then put it back into the trust after closing. That mis-information should send up warning flags about the experience level of that Loan Officer! Think of the consequences if, shortly after you removed the house from the Trust, you unexpectedly died. Your home would be excluded from the safety of the Trust and your heirs would likely have a cumbersome Probate. Additionally, the company responsible for servicing your new reverse mortgage and providing you information for the term of the loan must still approve the Trust before you put the home back into it. What if they don’t like the wording? Wouldn’t you rather have known this information before you closed on the Reverse Mortgage? Can I do a reverse mortgage since I have Power of Attorney (POA) for my parents? Yes you can! There are different reasons for a POA to be in place. However, a letter from an M.D. (physician, psychiatrist, etc.) that indicates the current reason and the history of the POA will be required. If there is a POA, please let us know so that we can assist and guide you with the needed documentation and provide you with examples of a properly worded Doctor’s Letter. If you are unable to get the proper letter with the correct information from an M.D., then the only way to proceed is with permission from the courts (via a “Court Order”) and this is expensive and time consuming to obtain. The proceeds from a Reverse Mortgage do not affect these benefits. However, please note that it can (we said “can”, not “will”) affect Supplemental Security Income and Medicaid. If you are on Medicaid or SSI, be sure to let us know and we’ll give you further information on structuring the reverse mortgage correctly. We still recommend that you consult your financial advisor or contact these agencies directly for the most current information. Generally not. 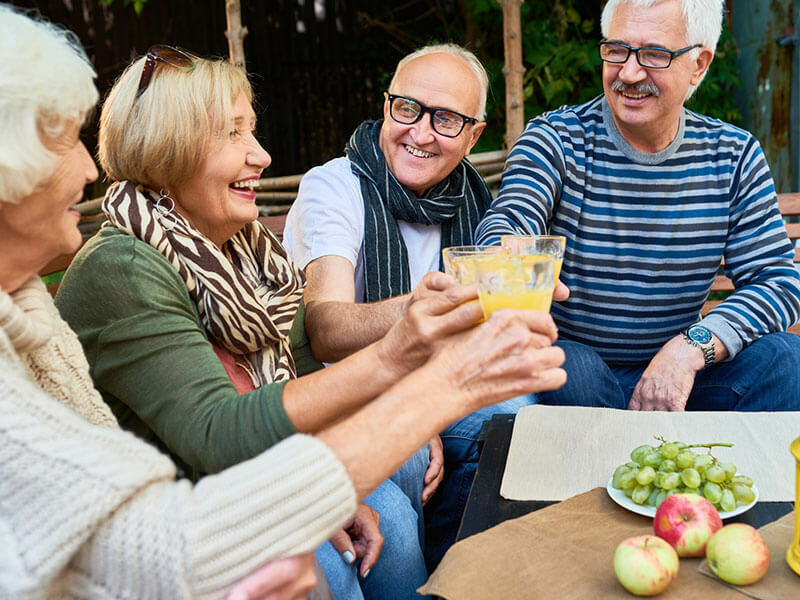 Interest is not tax deductible until you make a payment into the reverse mortgage and the vast majority of clients choose to not make interest payments. While there are many benefits of reverse mortgages, NOT making mortgage payments is (hands down) the largest attraction to the program! However, some seniors occasionally have chosen to pay the interest that is accruing on the reverse mortgage so that the balance never grows. In this case, their payments of the interest should be tax deductible. Please consult a tax advisor for detailed tax information and advice. Most of the costs can be financed directly into the reverse mortgage. This would include the origination fee, charges incurred by the title companies and other closing costs. The only out of pocket expenses the borrower should expect to pay out of pocket (or on a credit card) are the counseling fee and the appraisal. The counseling fee can vary by counselor and your financial health. This fee is charged by the counselor and is not a fee from New Mexico Reverse Mortgage. The appraisal fee is paid by you directly to the Appraisal Management Company (AMC) who then locates an FHA certified appraiser who will give your property a value. The cost of the appraisal ranges from $575 and up. This fee is non-refundable and used to cover the appraiser’s expenses and can vary depending on the complexity of the appraisal and the location of the property. Whatever closing costs that are rolled into the loan, will reduce the amount of available loan proceeds by an equal amount. Once we have specifics, we will be able to share more information and answer any additional questions you may have. Second homes, timeshare and investment or rental properties do not qualify. Other properties may not qualify if they are deemed “too unique” by an underwriter. We’ve seen “Earthships”, razor wired compounds, glass houses, homes with no interior walls, geodesic homes and other creative homesteads that never could close on any type of typical mortgage. If you have concerns about your property, its location or the availability of comparable homes, please share that with us early on… and send photos! The borrowers (or their estate) will pay back the principle amount they have received plus the accumulated interest and any costs that were financed. These numbers added together are known as “the payoff”. The amount repaid is limited to the value of the home (read the next FAQ). HECM reverse mortgages have a “Non-Recourse” clause written into the mortgage. This means borrowers will never owe more than the home is worth, regardless of the loan balance. Once the last owner passes away or moves out of the home permanently, the heirs can sell the property and pay off the existing mortgage balance or they can refinance the property. If the heirs choose to keep the property, they will have to refinance the entire amount of the existing mortgage balance regardless of home’s appraised value. However, the heirs can buy the property for less, up to 95% of the current appraised value of the home. Assuming they want to keep the home and when the time comes, we can help advise the heirs whether they should refinance or buy the home from themselves at 95% of appraised value. Until then, just give us a call if you have further questions or to request other information. Does the bank now own my house? No! Non! Nein! Niet! One of the biggest misconceptions is that either the bank or the government now owns the house. To be clear, the title remains in the name of the borrower(s). Said another way… You still own your home and your heirs will inherit the property. More than half the folks I initially speak with have the wrong information… but not you. Please tell your friends! Remember, property taxes and homeowner’s insurance must be kept current and the property must be maintained in order to avoid early repayment of the entire loan amount. Under some rare circumstances the loan servicer or FHA may be required to foreclose and only if you fail to meet your obligations under the reverse mortgage. What are my responsibilities as a homeowner with a reverse mortgage? In general, you are required to pay your property taxes, keep current the property insurance in place, maintain the home and notify the lender if you will be away from the property for an extended period of time. One of the stipulations of a reverse mortgage is that the home must be the borrower’s primary residence. The loan is due and payable when the last remaining borrower either sells the property, permanently leaves the home or passes away. Until these events take place, you live in your home and make no payments to the lender. You are still responsible for maintaining the property, paying property taxes and homeowner’s insurance. No, repayment can be accomplished by refinancing the existing reverse mortgage loan. The choice is your heirs to make. If the heirs sell the property and the proceeds exceed the amount of the home, they keep the difference! For cases where the proceeds are not sufficient to pay off the loan, then the bank absorbs the difference and will be reimbursed by HUD / FHA. However, if the heirs choose to keep the property, they will have to pay off the existing mortgage balance by refinancing or other available means. Since we are specialists and only work with reverse mortgages, we are happy to discuss many of the heir’s options and give them names of quality Realtors or Conventional Mortgage Loan Officers who can assist them or give them further information.